This platform allows you to share your expertise and give you the opportunity to increase brand visibility. It helps in validating the brand and make your social media presence powerful. It empowers the people to see the positive side of social media presence. It increases the process efficiency and reduces the cost of operations. Social Network helps in connecting people with brands on a more personal level. The biggest example of a social media platform is Facebook, Twitter, and LinkedIn. It’s an excellent platform to establish your brand awareness and helps in connecting with people. In social networking media sharing networks allows you to share videos, photos, and other media which make a more personalized impact. Here we have listed some of the most popular social media platforms with unbelievable capabilities. Discussion Forums: – Discussion forums also known as world wide web forums. These forums help you find creative and innovative ideas. It allows you to share your opinion and discuss it thoroughly. Reddit, Quora are some of the biggest examples of discussion forums. Bookmarking and Content Curation Network: – Increase the profit of bookmarking and discover new trends and adopt new technologies. It helps in discovering new and trending content of interest and other popular websites. Blogging Network: – The blogging platform is a service that facilities the creation of web pages. It’s a form of social networking services. It helps in building community and allow you to enlarge your community network. Social Shopping Network: – A lot of small businesses are adopting this new trend and allow people with the opportunity to grow their business. The App Development Company helps in spotting the new trends and allow people to follow brands and making the purchase in the comfort of their home. Interest-based Network: – People are adopting this new trend to follow interest-based network wherein they share the same hobby or interest with other people. This social network helps in connecting people with similar interest. Not just that, there are many other social networks which connect people to do what they want to do by just going digital. It reduces the communication gap across the globe and attracts millions of users worldwide. Its simple user interface fits into daily aspects and allows sharing capabilities to connect with other social channels. We develop apps to socialize with people and to stay connected. It gives you the opportunity to discover new people with the same interest or like-minded people. There are many social networking apps which give freedom of expression and allow people to show what they feel through social media platforms. These platforms gather information from different platforms and allow people to share expressions and get connected with the people they love the most. 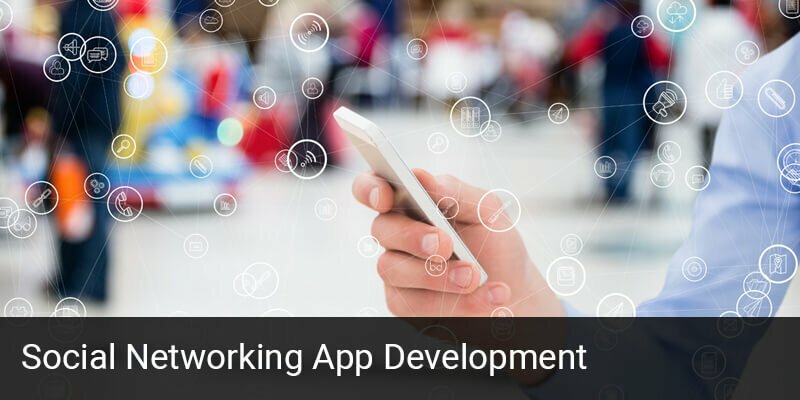 Social Network: – In social networking app development Facebook, Instagram, Twitter, these are few platforms which are used by millions of people around the world. With the help of these social networking apps, people can increase their brand visibility and make their presence marked. Platforms like Facebook, Twitter, Instagram inspire many people across the globe to find new people and socialize better. They create a large network and allow people to explore the digital world. We at BR Softech provides with Facebook Clone App which not only connects people but also helps them in exploring new milestones. E-commerce Platforms: – E-commerce platforms like Amazon, Flipkart take this Social Networking App Development on the next level. They give users the opportunity to buy and sell the products they like. E-commerce platform has made life easier and allows people to start their business at a lower cost. App development services make setting up an e-commerce store easy without spending a large amount of money. Its low financial cost is one of the major benefits as waiting in the queues is no longer exists. Data Management: – Data management is one of the most crucial aspects of social networking app development. It includes acquiring, validating, storing, and protecting data effectively. The major part of data management is the accessibility. Effective data management helps in making an effective strategic decision for business purpose. It also helps in extracting valuable insight into the current state of business and gives the opportunity to reduce the potential risk. Security: – Security is a major concern, as millions of people use the various forms of social networks. Maintaining privacy and security of user information is indeed a daunting task. The social media platform is full of user-uploaded content like multimedia, such as videos, photos, personal information like name, address, phone number and a lot more. It arises many threats hence, security plays a vital role in social networking. Platform and Technologies We Use: – Choosing the right platform and technology play a crucial part in social networking. It allows the many ways to develop a social networking website or app. A reliable technology or platform is what one must select in order to get the beneficial results. Analyze the platform and target audience can help in getting maximum returns. Selecting a reliable technology helps you and guides you through many hard decisions. Excess of Users: – There are too many users, who use social networking sites. It makes it difficult for the management team to manage and gather complete data and maintain it to realize the organic crowd. Some of the users submit inaccurate data, which makes it really difficult to target the right audience. It impacts the overall strategy and leaves us with unpredictable results. Technology Gap: – This is an ongoing challenge while developing the app one must consider the audience going to use the app. Lack of internet skills and internet can arise many challenges in the industry. Many organizations face difficulty to hire skilled developers, they get minimum options to get skilled tech professionals. Maintenance: – It is one of the most ignored aspects of app development. It involves functional checks, infrastructure building, repairing necessary devices to ensure the app significance over time. The app development requires timely maintenance, as per the ongoing trends. Consistent app performance helps you generate traffic and get the maximum benefit. There are many more challenges which often impact the performance of social networking sites/app. These challenges can be overcome with time and clutter all the complexities. 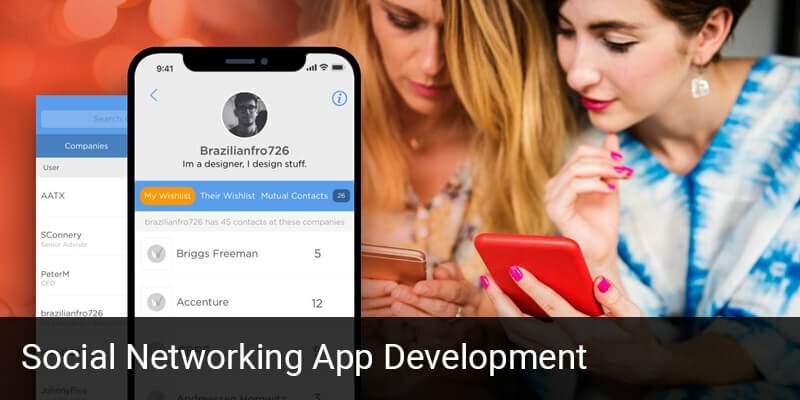 Social Networking App Development helps business to engage with the audience and invoke the ability of social media to connect brands and establishments with customers. We have a team of experts developing custom social networking solutions and help you get advantageous results. We empower the establishments and gives them the opportunity to connect with the team of specialists. Convert your innovating idea into reality and make your business stand out in the market with us. We will help you drive your business forward with a social networking app solution.